Adobe has released a critical software update to fix nearly two-dozen security holes in its Flash Player browser plugin. Separately, I want to take a moment to encourage users who have Adobe Shockwave Player installed to finally junk this program; turns out Shockwave — which comes with its own version of Flash — is still many versions behind in bundling the latest Flash fixes. If you use and need Flash Player, it’s time to update the program (the latest version is 19.0.0.185 for Windows and Mac users). Google Chrome and Internet Explorer bundle their own versions of Flash (also now at v. 19.0.0.185); each should auto-update to the latest. Find out if you have Flash installed and its current version number by visiting this page. Adobe said it was unaware of any exploits in the wild for the vulnerabilities fixed in this Flash release. Nevertheless, I would recommend that if you use Flash that you strongly consider removing it, or at least hobbling it until and unless you need it. Disabling Flash in Chrome is simple enough, and can be easily reversed: On a Windows, Mac, Linux or Chrome OS installation of Chrome, type “chrome:plugins” into the address bar, and on the Plug-ins page look for the “Flash” listing: To disable Flash, click the disable link (to re-enable it, click “enable”). 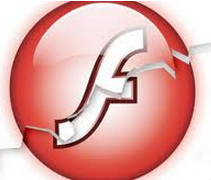 Windows users can remove Flash from the Add/Remove Programs panel, or use Adobe’s uninstaller for Flash Player. If you’re concerned about removing Flash altogether, consider a dual-browser approach. That is, unplugging Flash from the browser you use for everyday surfing, and leaving it plugged in to a second browser that you only use for sites that require Flash. If you decide to proceed with Flash and update, the most recent versions of Flash should be available from the Flash home page, but beware potentially unwanted add-ons, like McAfee Security Scan. To avoid this, uncheck the pre-checked box before downloading, or grab your OS-specific Flash download from here. Windows users who browse the Web with anything other than Internet Explorer may need to apply this patch twice, once with IE and again using the alternative browser (Firefox, Opera, e.g.). The Department of Homeland Security’s U.S. Computer Emergency Readiness Team (US-CERT) is warning about a dangerous security hole in Adobe’s Shockwave Player that could be used to silently install malicious code. The truly shocking aspect of this bug? U.S. CERT first warned Adobe about the vulnerability in October 2010, and Adobe says it won’t be fixing it until February 2013. Shockwave is a browser plug-in that some sites require. At issue is a feature of Adobe Shockwave that allows the installation of “Xtras,” downloadable components meant to interact with the media player. According to an advisory from US-CERT the problem is that Shockwave installs Xtras that are signed by Adobe or Macromedia without prompting, which can allow an attacker to target vulnerabilities in older Xtras. When a Shockwave movie attempts to use an Xtra, it will download and install it as necessary. If the Xtra is signed by Adobe or Macromedia, it will be installed automatically without any user interaction. Because the location from which Shockwave downloads the Xtra is stored in the Shockwave movie itself, this can allow an attacker to host old, vulnerable Xtras that can be installed and exploited automatically when a Shockwave movie is played. US-CERT warned that by convincing a user to view a specially crafted Shockwave content (e.g., a web page or an HTML email message or attachment), an attacker may be able to execute arbitrary code with the privileges of the user. Reached via email, an Adobe spokeswoman confirmed that US-CERT had alerted the company about the flaw in October 2010, but said Adobe is not aware of any active exploits or attacks in the wild using this vulnerability. “Adobe has been working on addressing this issue in the next major release of Adobe Shockwave Player, which is currently scheduled to be released in February 2013,” Adobe’s Wiebke Lips wrote. Adobe and Microsoft today each issued updates to address critical security flaws in their software. Adobe’s patch plugs at least five holes in its Shockwave Player, while Microsoft has released a bundle of seven updates to correct 23 vulnerabilities in Windows and other products. Microsoft’s May patch batch includes fixes for vulnerabilities that could be exploited via Web browsing, file-sharing, or email. Eight of the 23 flaws earned Microsoft’s “critical” rating, meaning no user interaction is required for vulnerable systems to be hacked. At least three of the flaws were publicly disclosed before today. According to Microsoft, the two updates are the most dire: The first is one related to a critical flaw in Microsoft Word (MS12-029); the second is an unusually ambitious update that addresses flaws present in Microsoft Office, Windows, .NET Framework and Silverlight. In a blog post published today, Microsoft explained why it chose to patch all of these seemingly disparate products all in one go. But the short version is that Microsoft is addressing the ghost of Duqu, a sophisticated malware family discovered last year that was designed to attack industrial control systems and is thought to be related to the infamous Stuxnet worm. A patch Microsoft issued last year addressed the underlying Windows vulnerability exploited by Duqu, but the company found that the same vulnerable code resided in a slew of other Microsoft applications.